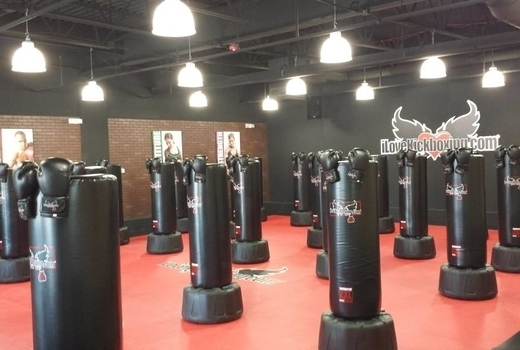 With over 90 locations worldwide, iLoveKickboxing is a top boutique fitness studio that offers highly effective exercises used by professional fighters in a fun, inviting atmosphere. Grab this $20 pulse (a $90 value) for 3 one-hour kickboxing classes and one 40-minute personal training session to start sculpting your body like an elite athlete. Go even further with the $30 pulse (a $120 value) for 5 classes, or the $50 pulse (a $195 value) for 10 classes - transforming your mind, body, and spirit. With great music, motivating teachers, and a stress-busting mix of cardio, resistance training, and kickboxing techniques, iLoveBoxing will challenge you at every session and give you the leanest body you’ve ever had. 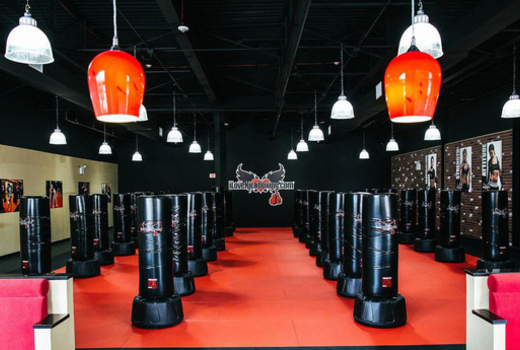 Cult-hit fitness studio iLoveKickboxing makes kickboxing accessible for anyone, regardless of fitness level or experience. This adrenaline-pumping workout is designed to give you the physique of a pro in a positive, fun, and encouraging setting. Each hour long class starts with a High Intensity Interval Training session to get your heart pumping and start torching calories. You’ll then move on to punching and kicking using real gloves and a punching bag - perfect for stress relief and sculpting lean muscles. Guiding you through these moves will be passionate instructors who truly care about helping you achieve your goals. Whether you’re experienced or completely new, their hands-on attention ensures that you work at your optimum level. Uplifting, fun, and body-changing, iLoveKickboxing is the ultimate workout for leaning out and toning up! One 40-minute personal training session. One pair of boxing gloves to take home. "I love ILKB amazing workout and amazing people! Definitely recommend. Trainers are amazing, motivating, funny and very encouraging.. I will kick asses now.."
”The most fun you can have while working out! I have tried so many things, from personal training, to spinning, yoga... EVERYTHING. This is the only workout that I actually look forward to, and it works!" "After just a few weeks my arms and abs were toned beyond what they had been in years (maybe ever)." Chelsea: 149 West 27th Street. Midtown: 303 East 43rd Street. West Village: 80 Carmine Street. Lower East Side: 43 Essex Street. All other NYC locations may be viewed here. Reservations required. New clients only. Valid at all New York City locations.